On Saturday evening, Stéphane and I stood in the courtyard of Château de Vaux le Vicomte with a group of fifteen strangers. While we had only traveled from Paris, several of the guests had driven over 500 kilometers to attend a very special soirée. The occasion? Vaux le Vicomte's premiere evening dedicated entirely to its social media fans. As we gathered around Community Manager Juliette Dagois, she explained that it was their way of expressing Vaux le Vicomte's gratitude for our support on Twitter, Facebook, Instagram, YouTube and Pinterest. The agenda included a private tour of the château with co-proprietor Alexandre de Vögué, a stroll through the gardens magically illuminated by more than 2,000 candles, a private dinner and a firework display for the grand finale. While the evening was remarkable from start to finish, I was most impressed by the fact that several of the fans were visiting Vaux le Vicomte for the very first time. They were active supporters of the château without ever having seen the harmony and elegance of its French formal garden or the grand ceiling with its eight muses in the Salon des Muses. That's the power of social media! Whether you live 5 or 500 kilometers from Château de Vaux le Vicomte, you can be a #FanVLV by liking it on Facebook and/or following it on Twitter. 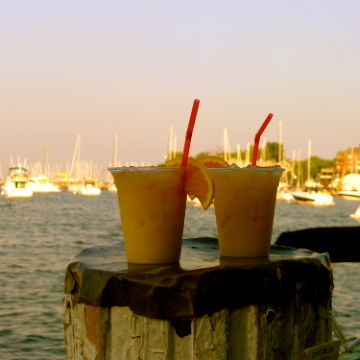 Share your photos and participate in the discussion. If you would like to help preserve this masterpiece of French architecture in a more substantial fashion, join the Friends of Vaux le Vicomte Association. Upcoming events at Château de Vaux le Vicomte include European Heritage Days on September 20 and 21, Chocolate Palace from November 8 to 11 and Christmas at Vaux le Vicomte December/January. 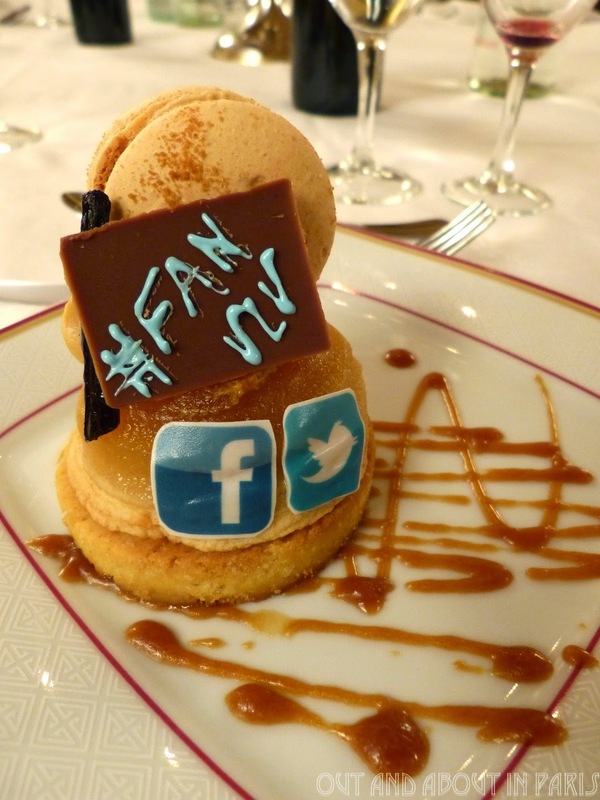 Dessert, a sweet tweet (treat) for Vaux le Vicomte's social media fans! I see the group picture of the social media fans got to the VLV Facebook page. You finally got in a picture yourself! You spotted me! Usually I offer to take the photo so that I'm not in it, but I couldn't do that this time.